Asiad Steels is one of the known manufacturers and distributors of ASTM A193 B8 Stainless Steel Hex Bolts, which are available in different sizes and dimensions. We manufacture these ASTM A193 B8 Stainless Steel Bolts for usage and application in different industries. We are also a prominent name in manufacturing these ASME SA 193 B8 SS Heavy Hex Bolts which are the precision components. 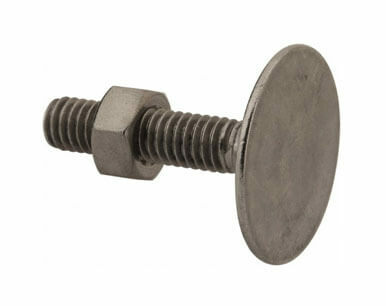 Since commencement, our company has set a benchmark in the offering of these ASTM A193 B8 Stainless Steel Hex Screws. Owing to a long-term destination for our business, we are involved in providing a wide gamut of ASME SA 193 B8 SS Hex Cap Screws. In the wake of the ever rising demand for reliable products, we are engaged in offering a wide assortment of these ASTM A193 B8 Stainless Steel Socket Cap Screws. 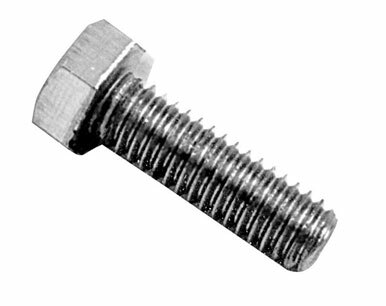 Our organization is well known in the industry, engaged in offering a broad range of ASME SA 193 B8 SS Machine Screws to our prestigious clients at reasonable prices. Being one of the prominent names of the market, we are engaged in proffering ASTM A193 B8 Stainless Steel Allen Cap Screws that can be acquired in multiple specifications. Ideal for a wide variety of home and commercial applications, ASME SA 193 B8 SS Square Bolts exhibits excellent corrosion resistance and has a high ease of fabrication, outstanding formability. ASTM A193 B8 Stainless Steel Round Head Bolts has some exceptional features to offer such as Lightweight, Various sizes, Easy to use and so on. Buy Stainless Steel Boltsat reasonable rates from us. 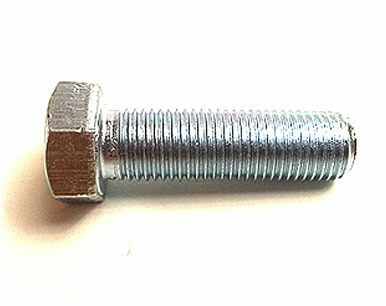 We are Exporter of ASTM A193 B8 Stud Bolt in World wide Such as India, New Zealand, Poland, Iraq, Chile, Macau, Ireland, Indonesia, Tibet, Sweden, Czech Republic, Nigeria, Puerto Rico, Poland, Chile, Vietnam, Spain, Algeria, Japan, Sri Lanka, Denmark, Switzerland, Saudi Arabia, Colombia, Gabon, Morocco, Ukraine, Canada, Bahrain, Venezuela, South Africa, Costa Rica, Afghanistan, Singapore, Kazakhstan, Brazil, Kuwait, Nepal, Lithuania, Bangladesh, Belgium, Germany, Libya, United Kingdom, Mongolia, Mexico, Greece, Zimbabwe, Norway, Namibia, China, France, India, Argentina, South Korea, Bolivia, Azerbaijan, Jordan, Turkey, Nigeria, Netherlands, Malaysia, Oman, Portugal, Belarus, Estonia, Egypt, Gambia, Russia, Bulgaria, Angola, Iran, United Arab Emirates, Philippines, Ecuador, Pakistan, Yemen, Israel, Lebanon, Australia, Slovakia, Trinidad & Tobago,Tunisia, Italy, United States, Hungary, Croatia, Kenya, Austria, Taiwan, Mexico, Iran, Bhutan, Qatar, Ghana, Thailand, Peru, Serbia, Hong Kong, Romania, Finland. We are Suppliers of ASTM A193 Grade B8 StudBolts in India Such as Mumbai, Aberdeen, Melbourne, Mumbai, Sharjah, Lagos, Edmonton, Geoje-si, Los Angeles, Kuwait City, Rio de Janeiro, Gimhae-si, Santiago, Courbevoie, Dubai, Chandigarh, Houston, Istanbul, Chennai, Ankara, Ahvaz, Nagpur, Toronto, Rajkot, Faridabad, Thane, Riyadh, Ahmedabad, Abu Dhabi, Bhopal, Indore, Nashik, Mexico City, Ho Chi Minh City, Vadodara, Manama, Karachi, Bengaluru, Navi Mumbai, Port-of-Spain, New Delhi, Brisbane, Moscow, Howrah, Thiruvananthapuram, Haryana, Jamshedpur, Ernakulam, Kuala Lumpur, Bogota, London, Cairo, Chiyoda, Hanoi, Secunderabad, Al Khobar, Algiers, Jakarta, New York, Perth, Ranchi, Atyrau, Ludhiana, Caracas, Dallas, Granada, Muscat, Montreal, Hyderabad, Doha, Surat, Lahore, Hong Kong, Seoul, Singapore, Baroda, Vung Tau, Ulsan, Calgary, Al Jubail, Coimbatore, Madrid, Tehran, Petaling Jaya, Kanpur, Sydney, Kolkata, Milan, La Victoria, Busan, Pimpri-Chinchwad, Bangkok, Noida, Gurgaon, Dammam, Jeddah, Jaipur, Visakhapatnam, Pune, Colombo.